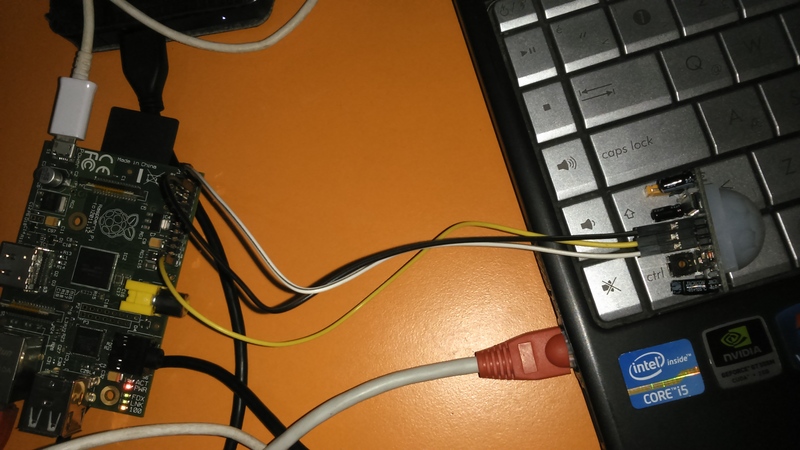 Hello Friends, This is my first spell with the Raspberry Pi Pi (motion) sensor will try to explain the operation. First, let me give you a little information about PIR sensor. PIR sensors and sensors that can detect people in the field of view of the infrared light emitted by warm-blooded creatures. They are often used as a motion sensor. (Burglar alarms are used in units such as automatic lighting.) Per Freshnel light from the environment to increase the sensing distance of the sensor lens (lens fi lter) with the IR beam refraction angle is achieved by focusing overthrown on full sensor. Live act polygon cut when the sensor detects the instant the light that falls on the building due to the re-sensor PIR sensor detects movement. Pyroelectric infra red sensor is used to detect flame in the fire alarm. For example, the sensor gives warning notification in the event of any act open house. Yes, let’s go practice after this information to your friends. Raspberry Pi ‘We are opening the computer After connecting y py file extension, entering a new terminal (sudo nano pır.py). After you type the command we are writing code that is displayed in the image below. 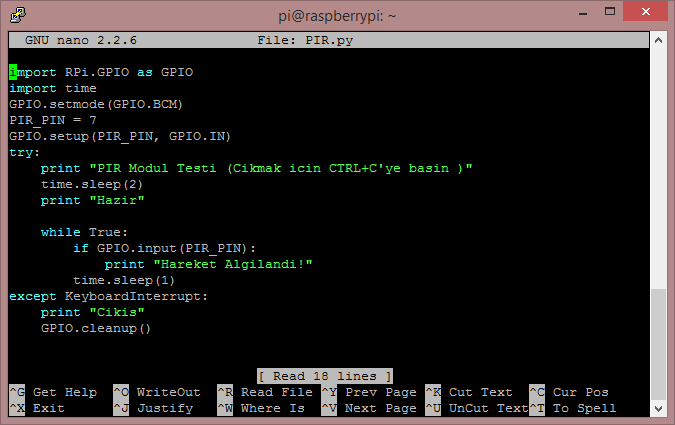 print"PIR Modul Testi (Cikmak icin CTRL+C'ye basin )"
You save the file (Ctrl + X) and then the Raspberry Pi as shown in the following image sensor’s are making connections. After making the connection we can run our application. 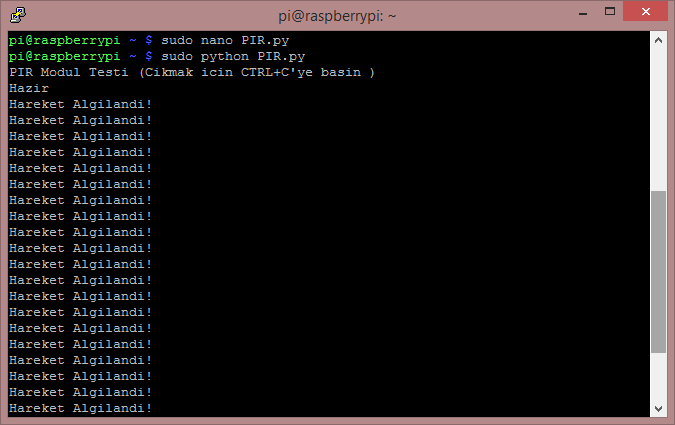 Pır.py terminal, type sudo python enter ‘a are pressed. If you have made your application moves complete the steps will work as follows.